About "Properties of parallelograms Worksheet"
Worksheet given in this section is much useful to the students who would like to practice problems on properties of parallelogram. 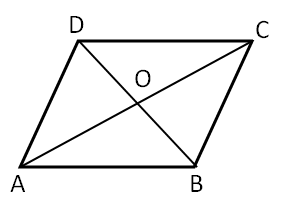 In the parallelogram given below, find ∠B, ∠C and ∠D. 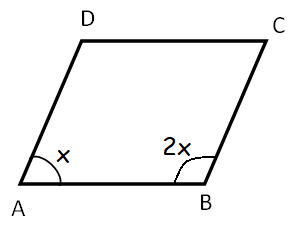 In the parallelogram ABCD given below, find ∠A, ∠B, ∠C and ∠D. 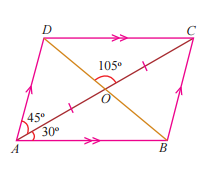 In the parallelogram given below, find the measures of ∠ABO and ∠ACB. 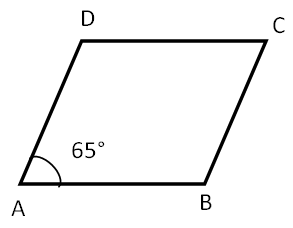 The perimeter of the parallelogram ABCD is 30 units and the length of the side AB is 9 units, find the length of other sides of the parallelogram. 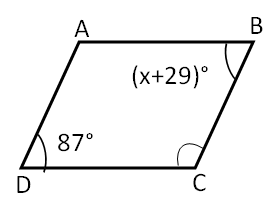 In the parallelogram given below, find the measures of ∠A and ∠C. Find the length of AO and OC. In two adjacent angles of a parallelogram, if one angle is four times of the other, then find the measures of the two angles. In the parallelogram given above, find the lengths of the sides GJ and HI (in cm). In the parallelogram given below, find the values of x and y. In a parallelogram, adjacent angles are supplementary. In the above parallelogram, ∠A and ∠B are adjacent angles. Hence, the measures of ∠B, ∠C and ∠D are 115°, 65° and 115° respectively. Let us look at the next problem on "Properties of parallelograms worksheet"
According to the properties of parallelogram, the opposite angles are congruent. Hence, the measures of ∠A, ∠B, ∠C and ∠D are 60°, 120°, 60° and 120° respectively. 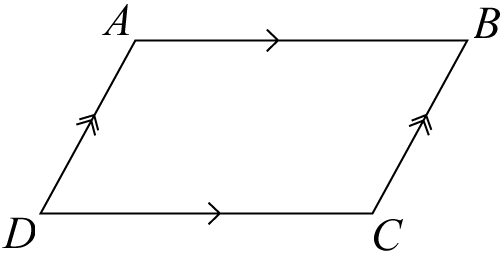 In the parallelogram given above ∠AOB and ∠COD are vertically opposite angles. Plug ∠OAB = 30° and ∠AOB = 105°. In the parallelogram given above, AD||BC, AC is transversal and ∠OCB and ∠OAD are alternate interior angles. If two parallel lines are cut by a transversal, alternate interior angles are equal. 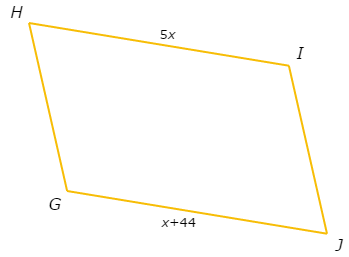 In the parallelogram given above, ∠OAD = 45°. Hence, the measures of ∠ABO and ∠ACB are 45° each. Given : Perimeter of the parallelogram is 30 units. Because it is parallelogram, length of opposite sides must be equal. Subtract 18 from both sides. Then, the length of CD is also 6 units. Hence, the length of CD is 9 units, AD and BC are 6 units each. According to the properties of parallelogram, opposite angles are equal. Hence, the measures of ∠A and ∠C are 93° each. According to the properties of parallelogram, the diagonals bisect each other. Hence, the lengths of AO and OC is 62 units each. Let "x" be one of the angles. Then, the adjacent angle of x is 4x. Hence, the measures of the two adjacent angles are 36° and 144°. According to the properties of parallelogram, the length of opposite sides are equal. Because opposite sides are equal, the length of GJ is also 55 units. Hence, the lengths of GJ and HI is 55 units each. According to the properties of parallelogram, the diagonals of a parallelogram bisect each other. Plug x = y - 2 in (2). Plug y = 6 in (1). Hence, the values of x is 4 and y is 6. In a parallelogram, opposite angles are equal. Hence, the value of x is 10 and y is 13. After having gone through the stuff given above, we hope that the students would have understood "Properties of parallelogram". If you need any other stuff given on "Properties of parallelogram", please use our google custom search here.